Long-term plans for Lohman have been put on hold, and students can expect to receive housing selection information by the end of this semester, said Jon Geyer, Director of Residential Life. Although there were talks last year of work being done to Lohman, the long-term plans for the building, whether it will be renovated or replaced, are on hold until the university finalizes its master plan. In the meantime, the first floor on the west side of Lohman isn’t being used because it’s in “a little rougher shape,” and it isn’t needed at the moment. Geyer said the university’s master plan should be finalized by February, so Lohman’s future should be decided within the academic year. According to Geyer, no major changes were made to the residential spaces on campus, but the facilities team worked through the summer to refresh some of the housing on campus. The refresh included minor updates to the CU apartments and new flooring in the first two floors of College Ave. Another refresh will happen this summer, with a focus on the neighborhood. Although Lohman has traditionally been a first-year residence hall, some upperclassmen had the opportunity to live in single rooms there this year, as many first-years are now living in Schaaf Hall. Lohman is still populated by a majority of first-years who all live in the east half of the H shape. Upperclassmen are housed in the west side of the building. Only 50 of the 250 students living in Lohman are upperclassmen, according to Geyer. The decision to move first-years to Schaaf was made when the renovation of parts of Lohman was being planned. 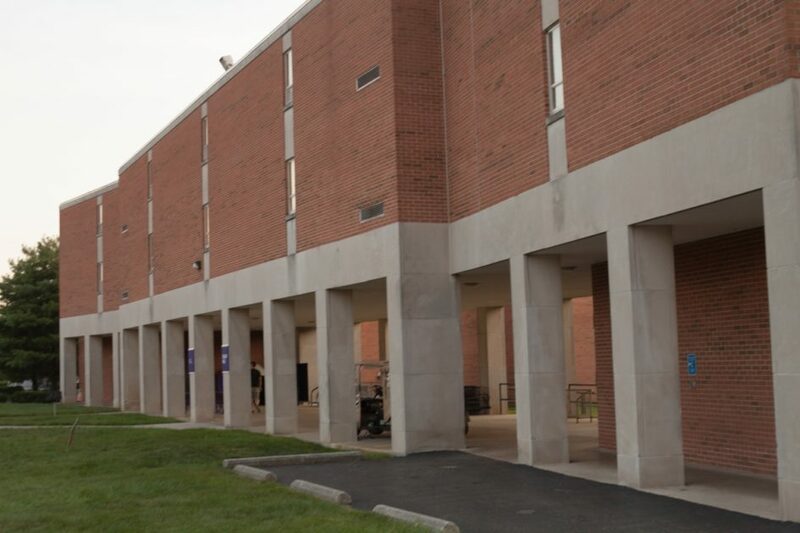 In order to accommodate all of the incoming first-years, the residential life office had to find a building big enough to take on the bulk of the incoming class so that parts of Lohman could be left open to be renovated. Schaaf Hall was traditionally used for upperclassmen, but with the addition of Trinity housing, more suite- and apartment-style living options were available for those students. Schaaf has taken on the role of Cotterman, which used to house first-year honors students but is now an upperclassmen hall. Schaaf houses most of the themed living communities that first-years could choose to be a part of, including honors students. Geyer said he enjoys using Schaaf as a first-year residence hall. “The way the lobby is set up is a great space for programming and a great way for first-year students to engage and start to get to know each other,” Geyer said. Although this is a change for campus, Geyer said he expects Schaaf to continue housing first-year students. Another change that students can expect to see as soon as next year is the addition of family and graduate student housing. With the addition of Trinity housing, Capital is looking at the possibility of graduate students living on campus, as well as allowing students with spouses and children to live in campus housing. Some Trinity students are already living with their spouses and children in the Trinity apartments, as this is something Trinity offered. Geyer said that the residential life office is doing research on how this would work at Capital and is looking into how other campuses are providing family housing. This opportunity can be expected as soon as next year. With these changes to housing, students can expect housing selection information to come “sooner rather than later,” according to Geyer, with information on its way toward the end of this semester. “We’re already deep in the planning stages of housing selection,” Geyer said. “We’re further in advance now than we’ve been ever.